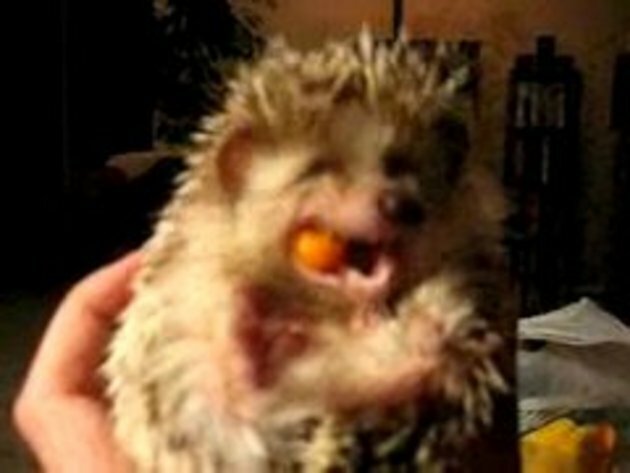 LMAO OMG what a cute little hedgehog!! I don't know what you were feeding him/her but once they broke into it, he seems to have liked it alot!! Well I can't say this is a "pointless" video, get it? Why is it not blue and moving really fast? great clip. makes a good mood great. Heh, that is one cute little hedgehog. Also, I want that in my life. wat was u feedin it? What is he/she eating? What a cute guy. I've never known anybody personally with a hedgehog before. HOW CUTE! LOVED IT! A WONDERFUL PET!